New to the online shop is our illustrated Christmas cards and Reindeer cut out kits. The Christmas cards depict a giant snowman being built by a team of super engineers, and come individually signed and numbered. 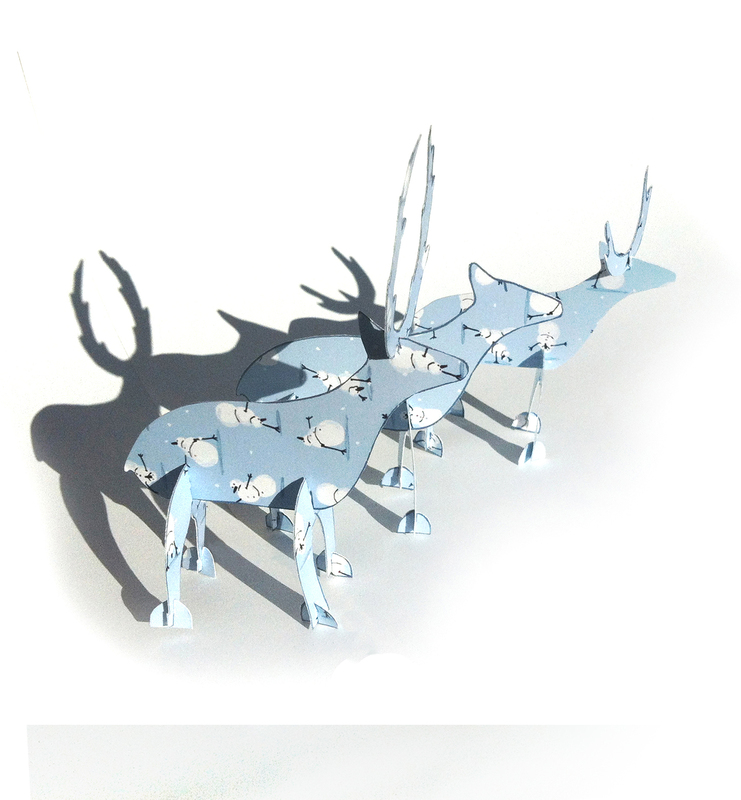 You can also grab a Reindeer craft kit, where you can cut out and assemble a family of 3 free standing reindeer. These can be displayed as decoration or hang on your tree! They also come individually signed and numbered.